Tampa Bay Lightning is Greased this week!! As you may recall I was priviledged to witness the Opening Night of Grease the Muscial last night! This production, based on the 1950&apos;s summer love of "Danny" & "Sandy" and their senior year at Rydell High, is a melody of classic rock and pop songs you can&apos;t help but sing along to! Nonetheless, the cast was outstanding!! As a Broadway fan myself, this production was certainly comparable in quality -- the costumes, stage set-up, performance, and of course talent were excellent! Although the theatrical/musical production places some songs out of order from the well-known 1978 film production, need not fear because all musical favorites were still included! My personal favorite last night was the Hand Jive at the Rydell High Dance when WAXX Radio hosted a couples dance competition! Between the live orchestra music and awesome choreography, this scene stole the show in my opinion.... However, the Grease Lightning scene is always a classic and this production was no exception!! 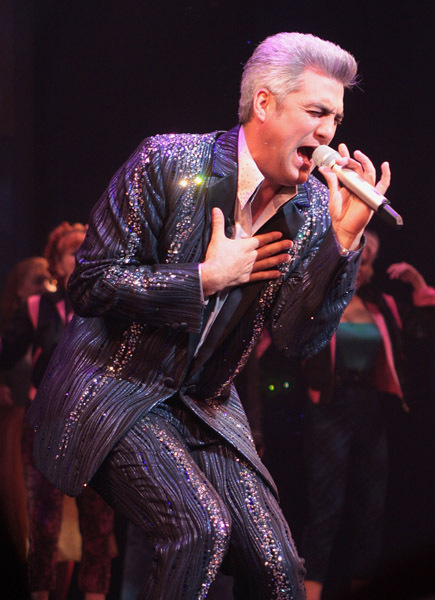 Taylor Hicks was outstanding in his role as Frenchie&apos;s Guardian Angel, singing "Beauty School Dropout." In addition, there&apos;s a surprise at the end of the show everyone must stick around for! The show was wonderful and the audience was fully engaged - clapping, singing, and sometimes even getting up to dance! All of which I&apos;m guilty... it&apos;s Grease, why not sing along! So, if you haven&apos;t bought your tickets for this Tampa Bay entertainment event, you still have a chance. Grease the Musical will be performed at the Tampa Bay Performing Arts Center tonight through Sunday at 7:30 pm. For ticket information visit www.tbpac.org. This is a great opportunity to enjoy a live performance and enjoy the beautiful architected Performing Arts Center in Downtown Tampa while you&apos;re there!